Schreiber at the 7th Annual Chanel Tribeca Film Festival Artists Dinner 2012. Liev Isaac Schreiber (/ˈliː[invalid input: 'ɨ']v/; born October 4, 1967) is an American actor, producer, director, and screenwriter. He was known for his role in Scream, Phantoms, The Sum of All Fears, X-Men Origins: Wolverine, Salt, Taking Woodstock, and in The Butler. 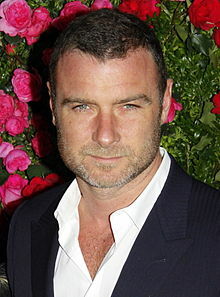 Schreiber was born on October 4, 1967 in San Francisco, California. ↑ Roston, Tom (January 1, 2009). "Liev Schreiber enjoys fatherhood and playing opposite Daniel Craig in 'Defiance.'". Los Angeles Times. Retrieved May 24, 2011. This page was last changed on 9 July 2018, at 23:50.